1. 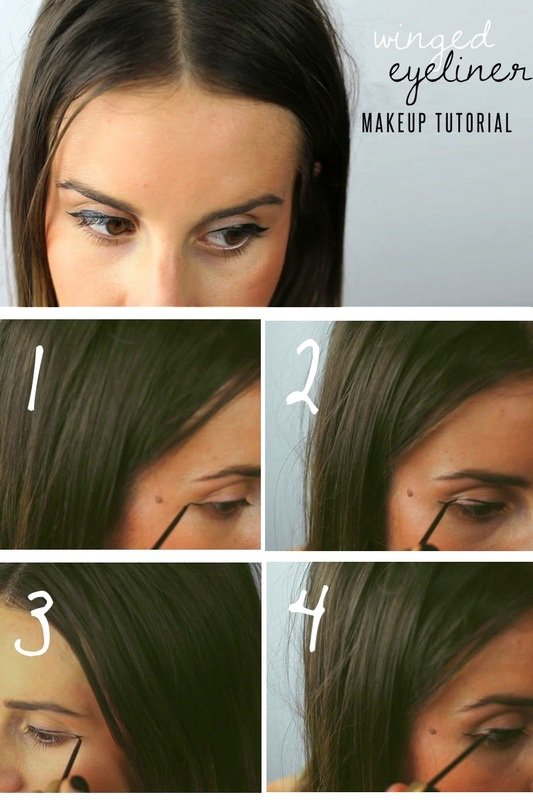 Draw a small straight line at the corner of your eye slightly angled up. 2. On the inner corner of your eye, draw a thin line right along the lash line. As soon as you get to the centre, you are going to slowly angle away from the lash line toward the line that you have drawn on the outer edge of your eye. 3. Connect both of the lines. 4. Fill in empty space. You now have a fun, winged eyeliner look for an everyday style!